The Trump administration's recent statement on Israeli settlement construction led to mass confusion among the chattering classes on both sides of the Atlantic Ocean. The bulk of the coverage described it as a major rebuke of Israel that even indicated President Donald Trump intended to deal with Israel no differently than Barack Obama, at least when it came to Israeli building beyond the Green Line (also known as the 1949 armistice demarcation line). However, the widespread reports not only misread the administration's developing position, but failed to fully grasp the positions of previous presidents on the settlement issue. Those reports also failed to take into account the current political contexts in Washington, DC and Jerusalem. As a result, the bulk of the analysis missed the far greater story and drew conclusions that reflected the opposite of reality. The American desire for peace between the Israelis and the Palestinians has remained unchanged for 50 years. While we don't believe the existence of settlements is an impediment to peace, the construction of new settlements or the expansion of existing settlements beyond their current borders may not be helpful in achieving that goal. As the president has expressed many times, he hopes to achieve peace throughout the Middle East region. The Trump administration has not taken an official position on settlement activity and looks forward to continuing discussions, including with Prime Minister Netanyahu when he visits with President Trump later this month. For many in news media, it was off to the races. The article that started the ball rolling came from Michael Wilner, Washington bureau chief and White House correspondent for the Jerusalem Post. Wilner published a report under the headline, "Trump warns Israel: Stop announcing new settlements." He opened by writing, "The White House warned Israel on Thursday to cease settlement announcements that are 'unilateral' and 'undermining' of President Donald Trump's effort to forge Middle East peace." The New York Times took it even further with the front-page headline "Trump Embraces Pillars of Obama's Foreign Policy." The authors led off, "President Trump, after promising a radical break with the foreign policy of Barack Obama, is embracing some key pillars of the former administration's strategy, including warning Israel to curb settlement construction." Their story noted that Trump's "reversals were particularly stark" and that he was "in effect telling Mr. Netanyahu to wait" until the two leaders meet in Washington on February 15. It's rare to find such a gulf in the interpretation of foreign policy on a matter so frequently scrutinized by international media. Contrary to the bulk of what has been written, the real story here is that the United States doesn't consider Israeli settlements to be an obstacle to peace. As long as Israel doesn't establish new settlements or expand the borders of those that already exist, it remains free to build beyond the 1967 lines. Several elements of the statement require a more careful analysis. The first is the fact that the United States doesn't "believe the existence of settlements is an impediment to peace" is new and should constitute a story by itself. Before Barack Obama, the standard U.S. line regarding settlements was that they constituted an "obstacle" to peace and needed to stop. But when Obama came into office, he viewed Israeli settlements not as one of many issues but as "the principal obstacle to progress toward Israeli-Palestinian peace," according to Robert Satloff, executive director of the Washington Institute for Near East Policy. Yet Obama went several steps further. He publicly questioned Israel's—but not the Palestinians'—desire to make peace and began calling Israeli settlements "illegitimate" rather than an "obstacle." 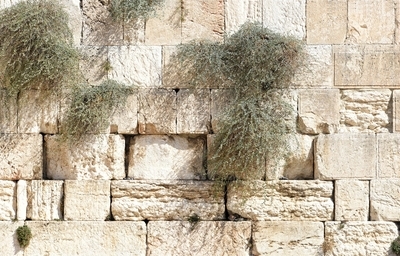 In the last weeks of his presidency, he allowed a UN Security Council resolution to pass that says Jews living in the Jewish Quarter of the Old City of Jerusalem are now illegal outlaws and that building and restoring homes or synagogues destroyed under Jordanian occupation between 1948–67 is forbidden. The resolution he approved was so groundbreaking that it even allowed for Palestinians to claim land inside of pre-1967 Israel. That makes for quite a difference in how the Trump and Obama administrations view Israeli settlements and their impact on the peace process. The second element that requires further probing is that while most reporting has focused on the phrase it "may not be helpful," the statement directly refers to "the construction of new settlements or the expansion of existing settlements beyond their current borders." Whether it is a sin of omission or meant precisely as written, what it actually means is that Israel has a green light for construction in all settlements as long as they don't expand beyond their current boundaries. When Barack Obama came into office, he confused tactics for strategy on Israeli settlements and issued what Satloff correctly described as an "ill-conceived demand for a total freeze on Israeli construction over the 1967 lines, including in Jerusalem." Long before the UN resolution came about, the Obama administration didn't differentiate between the construction in preexisting settlements and construction that required territorial expansion or enlargement. As Secretary of State Hillary Clinton said in May 2009, President Obama "wants to see a stop to settlements—not some settlements, not outposts, not 'natural growth' exceptions." It's true that there is constant confusion in news media over precise language pertaining to Israeli settlements. The difference amounts to a friend adding a bedroom above their garage versus a friend founding an entire city with all the space, utilities and roads required to function. That's a rather large spectrum. Nevertheless, it is the duty of diplomats to be precise in their language, and the responsibility of journalists to report accurately. For responsible journalists at reputable news outlets to glean even a glimmer of Obama's Israel policy from the Trump administration's statement, they must have special skills in pretzel logic. The third element that must be adequately taken into account is that President Trump "has not taken an official position on settlement activity," but he will discuss that activity and other issues after he meets with Netanyahu at the White House. There are already reports that Yossi Cohen, the head of Mossad, Israel's intelligence agency, and acting National Security Adviser Yaakov Nagel met with Trump's National Security Adviser Michael Flynn and other aides two days before Trump's inauguration. They were said to have discussed Iran, the civil war in Syria and the Palestinian-Israeli conflict. The U.S. position on Israeli construction may ultimately return to what Satloff described as a "constructively nuanced understanding with Israel on the issue," which was based on the 2004 exchange of letters between President George W. Bush and former Israeli prime minister Ariel Sharon. Their understanding took geographic reality into account and recognized that "the outcome of final status negotiations" would not be "a full and complete return to the armistice lines of 1949" and "any final status agreement will only be achieved on the basis of mutually agreed changes that reflect these realities." As such, Israel could build within existing settlements confined to the existing lines marked for construction, but they could not create new settlements, which would require expropriating land. Therefore, it wouldn't affect the more than 90 percent of West Bank land available for a Palestinian state. While the letters of assurance did not represent an American endorsement of Israeli settlement policy, it removed the issue from the U.S.-Israeli relationship. Obama, for his part, made it the centerpiece of his approach, which resulted in an eight-year impasse. Until redefined by Trump in his meeting with Netanyahu, the stated U.S. position currently leans further toward Israel than the Bush-Sharon understanding from over a decade ago. Lastly, the separate political realities facing Trump and Netanyahu must be taken into account to fully appreciate the motives of the two strong-willed personalities. While Netanyahu's Likud party represents the center-right on the Israeli political spectrum, he governs on the political left of his coalition. Interestingly, just as polling indicated that Hillary Clinton would handily win the U.S. elections, most polling in Israel indicated Netanyahu's center-left challenger, the Zionist Union, would win the March 2015 election. The polls were wrong. If Netanyahu wanted to remain prime minister after winning thirty seats to the Zionist Union's twenty-four seats, then he had no choice but to bring in several parties to his political right in order to reach the sixty-one seats necessary to lead the Knesset. 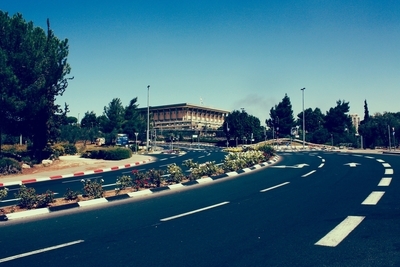 Many of his coalition partners want more robust Israeli construction in the West Bank and the annexation of Ma'ale Adumim, a large Israeli suburb on the outskirts of Jerusalem. Whether or not Netanyahu personally agrees with those wishes, he could tell his coalition partners that such construction would be impossible while Obama was in office—a point driven home by Obama's parting shot at Israel as he left office. From the perspective of those in Netanyahu's coalition to his political right, they have new leverage, stemming from the Israeli public's rejection of both the UN Security Council resolution and eight years of disastrous U.S. policy; Netanyahu's new—but perhaps temporary—perceived weakness stemming from an ongoing corruption investigation; Trump's defeat of Obama's chosen successor; and the temporary window afforded to them before the Trump administration formulates definitive Middle East policies. To that end, Israel announced it would authorize twenty-five thousand housing units in the West Bank, followed by an announcement for an additional three thousand units days later. According to Michael Wilner of the Jerusalem Post, "the White House was not consulted on Israel's unprecedented announcement" of 5,500 new settlement housing units. 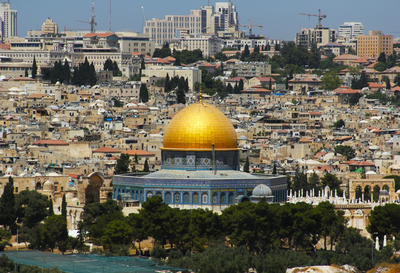 While there was the expected international pushback to Israel's construction announcement, the White House hardly responded until it issued the February 2 statement. The Trump administration released the statement one day after the Israeli prime minister announced plans to establish the first government-sanctioned Israeli settlement in some twenty-five years—to replace the outpost of Amona, which was slated to be demolished after Israel's High Court of Justice ruled that it was illegal. The new expansion is the only Israeli plan for construction that would be against the stated position of the Trump administration, because it would represent a new settlement. It is difficult to believe that the timing of Israel's announcement and the Trump administration's statement was coincidental. What Will Trump Want from Netanyahu? Recent developments raise several questions with regards to U.S. policy on the settlement issue. First, Secretary of State Rex Tillerson was sworn in within twenty-four hours of both announcements, so to what extent will subsequent White House statements be shaped by traditional State Department language? Second, how will Trump or Tillerson react to the Israeli vote on a controversial bill that would legalize four thousand settler homes in West Bank outposts on private Palestinian land? The Times of Israel reports that Netanyahu warned the White House about the vote. What will the Trump administration's public response be if it is asked about the warning? Israel's High Court of Justice will likely strike down the bill, just as it ordered the demolition of Amona after ruling the outpost as illegal. Netanyahu may be counting on that. Nevertheless, both the current bill to retroactively legalize settler homes and the announced plans to establish a new settlement in place of Amona represent two examples that "may not be helpful," according to the Trump administration's current policy. Much of the recent analysis on the bilateral relationship has focused on what Netanyahu wants from the Trump administration. The better question is: what does Trump want? As Leon Hadar has suggested, President Trump probably has more leverage with the Israeli prime minister than most people realize. Trump likes to negotiate, so he will likely not be giving away concessions to Israel for free—not even an abrupt move of the U.S. embassy from Tel Aviv to Jerusalem. Perhaps the most intriguing question facing the bilateral relationship is: will Trump seek Israel's acquiescence in a new U.S.-Russia understanding over Syria, including joint U.S.-Russia assaults on ISIS? Such an arrangement would leave Iran and Hezbollah empowered and entrenched along another of Israel's borders. What will that mean for U.S.-Israeli intelligence sharing if Israel believes that what it shares will end up on the desk of Russia's Federal Security Service or other Russian intelligence agencies? Does Trump intend to make Russia choose between closer relations with the United States or Iran? Or does he believe he can simultaneously defeat ISIS and push back on Iran while keeping Moscow happy? What would be Israel's response to those scenarios? Netanyahu probably sees the Middle East in a more black-and-white context, whereas Trump's campaign rhetoric has left much room in the gray. In the Middle East bazaar of policy trade-offs, the Israeli prime minister's visit will be an interesting opportunity to clarify where their visions overlap and diverge.